Thank you Tecnoglass, Jose and Christian for being part of our dream. 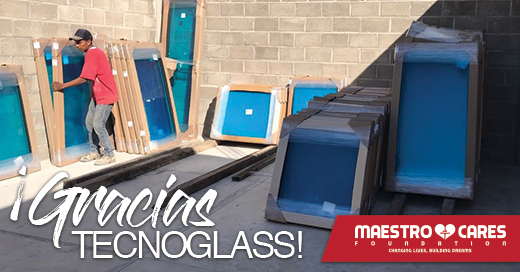 Maestro Cares Foundation Co-Founders Henry Cardenas and Marc Anthony as well as the entire Board and Foundation Family are truly grateful to Tecnoglass for their constant support of our many projects. Through their numerous contributions of glass, including specific designed doors and windows, they make a difference in the quality of the homes being built. The latest project to receive a donation is CASA HOGAR ALEGRIA in Guadalajara. 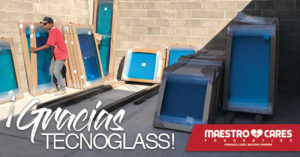 Thank you Tecnoglass, Jose and Christian for being part of our dream. You are “Changing Lives and Building Dreams”. If you or your company would like to make a donation please send an email to info@maestrocares.org for more details.